We are deeply devastated by the tragedies that have occurred in our community following the California wildfires. Our hearts are with everyone who has been affected by the destruction, people who have lost their lives, and have lost their homes and their business. Upon evacuating from my family’s Vineyard and home in Napa ( www.segassiavineyard.com), we've returned to find that we lost everything. As a vintner on the Segassia Vineyard, we also found that our vineyard was utterly destroyed. And it’s not just us…. According to wine industry insiders, there are millions of dollars of unharvested wine grapes still hanging on the vines in Napa and Sonoma, as many winemakers and vineyard owners were not allowed access back to their properties during the fire to harvest the grapes. While the grapes are not harvestable for wine, they can still be harvested to make Wine RayZyns. My family and I have a plan to take these grapes and help out our community. 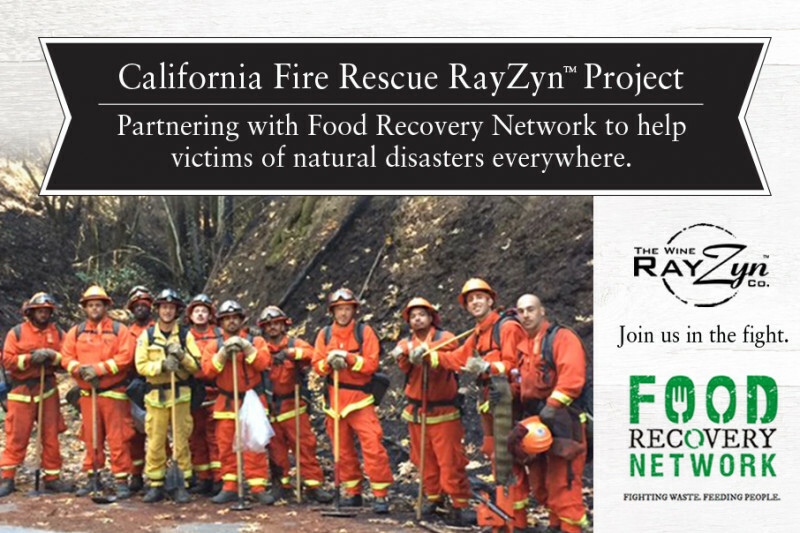 This California Fire Rescue RayZyn project is a way for us to repurpose the fallout of this major disaster in order to provide direct benefit to those affected and currently suffering. In addition, a portion of the proceeds from the sale of “Rescue RayZyns TM” will be used to benefit Napa, Sonoma and Santa Rosa Fire efforts. This partnership will allow food distribution companies, retailers, wineries and vineyard owners the opportunity to join forces and make a real and immediate impact to those victims who have recently been affected. Our goal is to raise $500,000 to fund the costs associated with processing and distributing the Rescue RayZyns TM. We hope you can join us in rebuilding our community and feeding victims affected by the wildfires as well as the hurricanes in Puerto Rico.